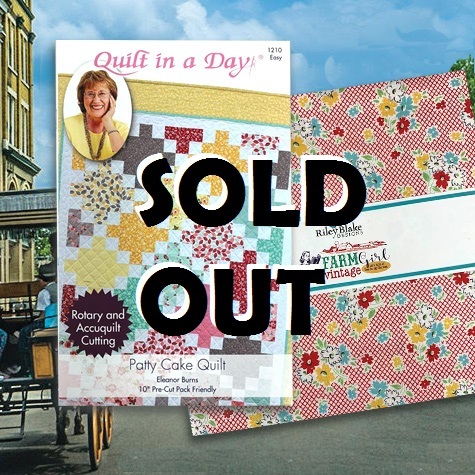 Get your coupons for use in store during Quilt Week now! Subscribe for Friday Night Invitation! Still Stripping After 40 Years! Eleanor has been twirling and throwing 2½″ strips for over forty years, you won’t find a better stripper. This show is all about all about stripping! 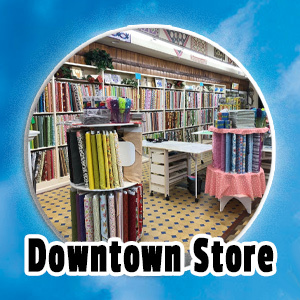 Eleanor will teach you how to utilize the most versatile piece of fabric, the 2½″ strip. Starting with the quilt block that started it all the Log Cabin and into a selection of bestselling patterns. We are pulling out all of the stops with this show! Eleanor will dazzle you with hilarious stories, funny outtakes, and amazing costumes; all while sharing beautiful quilts and teaching priceless techniques. Entertainment doesn't get any better than this! Refreshments and hot dogs will be available for purchase before the show at 6:00 PM. Theater doors open at 6:15PM. Tickets for these shows are assigned, so get your tickets soon to get preferred seating. We can’t wait to see you! 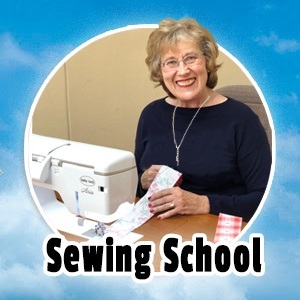 Class Fee of $199.95 Includes: Patty Cake instruction booklet, rough cut fabric kit, sewing machine use and lunch. Fabric kit features: Farm Girl Vintage by Lori Holt, for Riley Blake Fabrics. Kit includes includes fabric for top and binding only. Doors Open at 8:00AM, class begins promptly at 9:00AM. We hope you join us for this fun and exciting class! 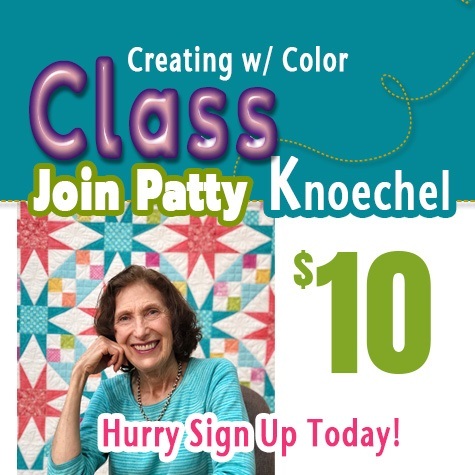 Receive a $15.00 Quilt in a Day Gift Certificate if you use your own Machine! At checkout, in the notes section, please include any dietary restrictions and preferred name for a name badge. Enjoy a great lecture on Color Selection with Eleanor's Sister - Patricia Knoechel! Patty is a true artist. Her color selection on traditional Quilt in a Day Patterns are sure to inspire. Lecture includes a Booklet and Free Pattern. New - Larger Size! The Quilt that started it all…the Log Cabin. 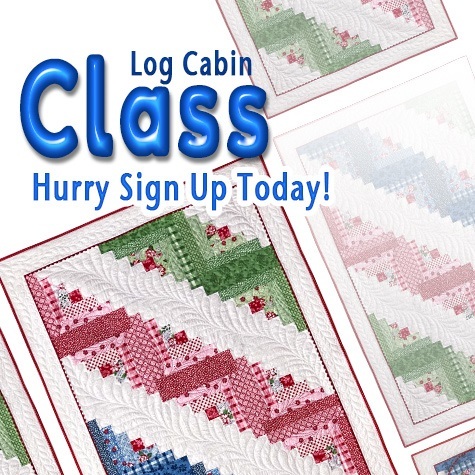 Here is your chance to learn how to make a Log Cabin quilt with Eleanor Burns. 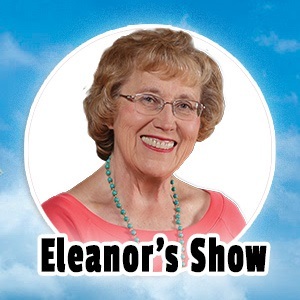 Join Eleanor as she celebrates the 6th Edition of her Best-Selling Book. You can truly make this charming multicolored 9-block quilt in a day! Don’t miss out on this very special class. 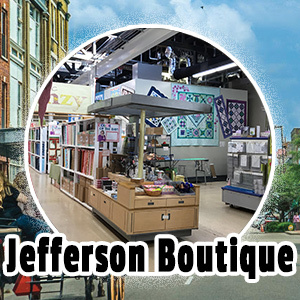 Class Fee of $199.95 Includes: 6th Edition Make a Quilt in a Day Log Cabin Pattern Book, rough cut fabric kit, sewing machine use and lunch. Fabric kit features May Belle, by Penny Rose Fabrics. Kit includes fabric for top and binding only. Lunch and Entertainment with Eleanor Burns! With all of the fun events and things to do, you can easily forget to eat lunch! Well… Eleanor has you covered, skip the lines and join her for lunch and entertainment. Join us at Hotel 1857 for a delicious buffet-style lunch. 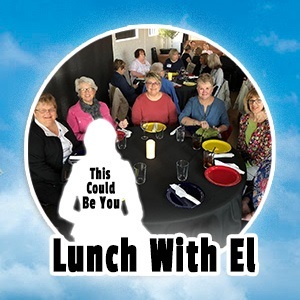 While you eat Eleanor will entertain you with stories in a question and answer forum, some fun games and even chances to win prizes. 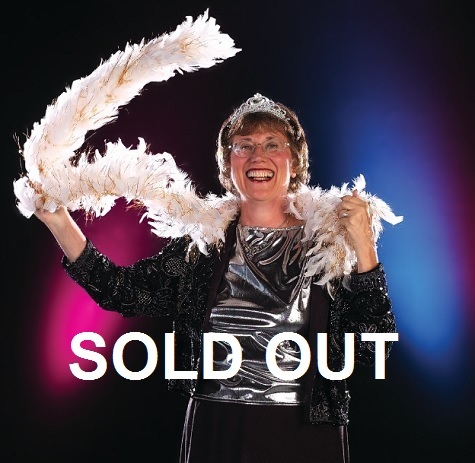 Get ready to have a fun afternoon with the Queen of Strip Quilting! Attendance is limited, and tickets will be sold on a first come first served basis. Tickets are $30.00 per person. ! Quilt in a Day - Books, rulers, notions, PreCuts, Accuquilt and lots of Sale Fabric. Quilt in a Day Jefferson St.
Quilt in a Day - Events, PreCuts, Books, and rulers.